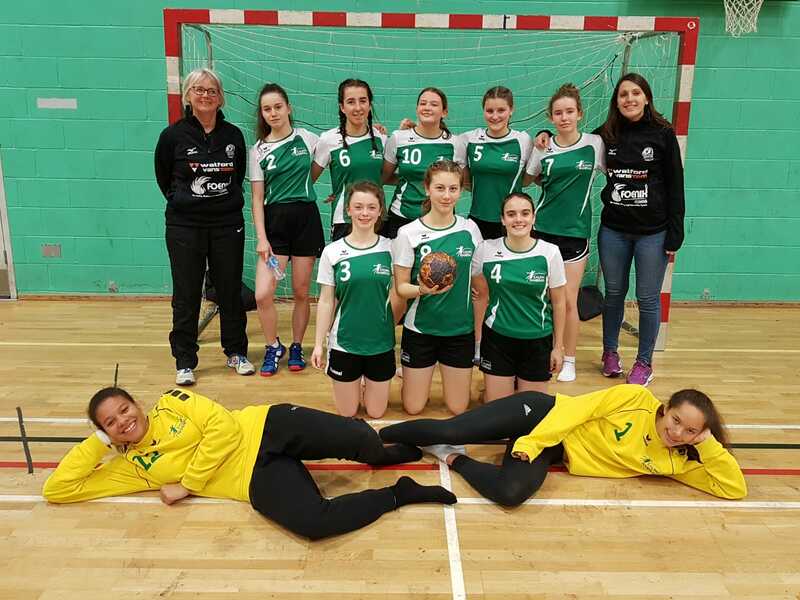 The U19 girls completed an excellent league campaign with a narrow loss to table toppers Stround, followed by a solid win against Poole Phoenix. These final results of the Southern League pool stages mean that Eagles finished in second place and head to the National Play offs in a very strong place. The game against Stroud saw both teams start the day unbeaten and equal on points, separated only by goal difference. Stroud has comfortably beaten Eagles in a friendly match but coach Mel Chowns was convinced the team could give them a run for their money and that was exactly how it played out. Eagles were without usually Play maker Diana Fartais so some positional changes were needed with Elly Stonebridge moving to Playmaker and Holly Thompson shifting to right wing and relative newcomer Iman Adzajilic taking over on line. Eagles new they had to be careful of Stroud's aggressive 5-1 defence, where they are very strong on interceptions and fast breaks but the team worked really well to minimise the technical errors and were really strong in defence, adopting a 6-0 with a focus on the 4 block. It stifled the usual flowing Stroud attack and goalkeeper Akira Adeniran -Iowe continued her fine form which has seen her earn a GB call up. In attack, fellow GB stars Zoe Lacour and Stonebridge were finding opportunities with their fast pace and so we went in neck and neck at half time at 9-9. The second half continued in the same way, neither team able to dominate and defences and goalkeepers proving their worth. Lacour continued to enjoy space on the wing, in fast breaks and in deputising for Fartais in taking penalties and with 5 mins to go the teams were locked at 13-13. Stroud had the ability to ring some changes with more subs and eventually squeezed ahead with minutes remaining and as Eagles looked to steal a late equaliser, Stroud stole away and scored in the dying seconds to win a great tussle 15-13. It was a fantastic match, with either side capable of winning and perhaps a draw would have been the fairest result but Coach Chowns was delighted to see her young side compete so well and they go to the play offs in a good spirits. Both Stroud and Eagles will be hoping to progress through to the semis and finals against tough Northern opponents. Team and Scorers: Ianau, Lacour (7), Mankoo, Thompson (2), Sartain (1), Stonebridge (3), Adzajilic, Bujosa – Armora, Adeniran- Iowe. The last game of the Southern League was against Poole Phoenix and understandably after such a great, close game versus Stroud, it was difficult for our small squad to reach the heights of the first game. There were also some issues with the ball which was absolutely covered in resin which led to a higher number of technical mistakes. Poole played a great 321 defence which also caused Eagles problems as we failed to really exploit the gaps in between. Gradually however they started to carry a greater attacking momentum and Stonebridge, Thompson, Lacour and Sartain all began to enjoy them selves when they went aggressively into the spaces. The game was never in doubt as they led 16-10 at half time but it was a scrappy game and not one that Chowns particularly enjoyed watching, knowing her side were capable of better play. With a few players carrying niggles it was a great opportunity for the less experienced players Ianau and Mankoo to also get some court time which will serve them well in the future. The second half continued to see Eagles dominate, without really pulling away but in the end they were comfortable winners 24-19 and second place was secured. Team and Scorers: Ianau, Lacour (5), Mankoo, Thompson (5), Sartain (5), Stonebridge (7), Adzajilic, Bujosa – Armora (2), Adeniran- Iowe.